A collection of WW2 German militaria consigned for Bosleys July 4th sale contained a number of rare items, including daggers, awards and medals but one particular item drew our eyes and after being authenticated by one of the world’s leading experts and therefore securing a Bosley’s guarantee of authenticity for a Third Reich item, something no other UK auction is prepared to give, the importance of the piece began to hit home. The item to draw so much attention was not just an outstanding early example of the SS Officer’s sword, but an example carried possibly by a founding father of the SS Leibstandarte SS Adolf Hitler, Hitler’s personal body guard. In 1933 the "Leibstandarte Adolf Hitler" was formed as a personal body guard each man swearing an oath to Hitler. 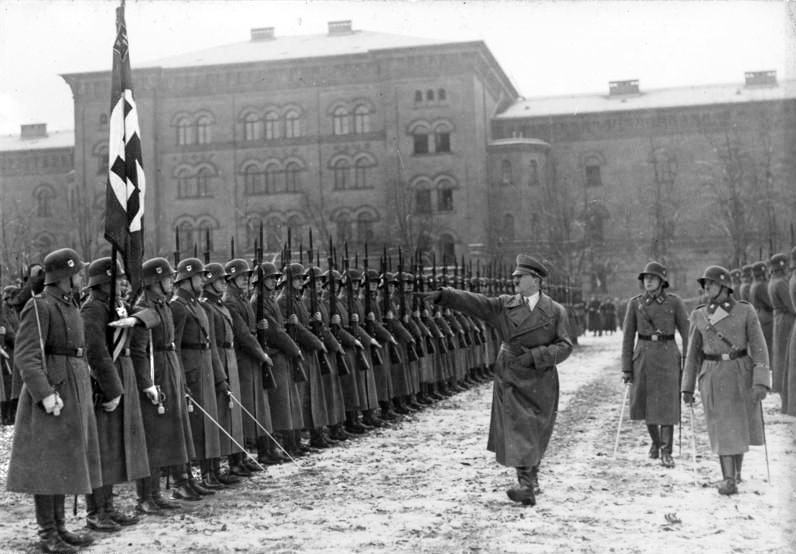 It was not until the 13 April 1934, that the body guard came under the directive of the SS when Reichsfuher-SS Heinrich Himmler ordered it to be renamed "Leibstandarte SS Adolf Hitler" , hence under the new order our pattern of sword was introduced to be carried by Officers, following loosely the old Imperial style and similar to that carried by the Army but with silvered fittings. 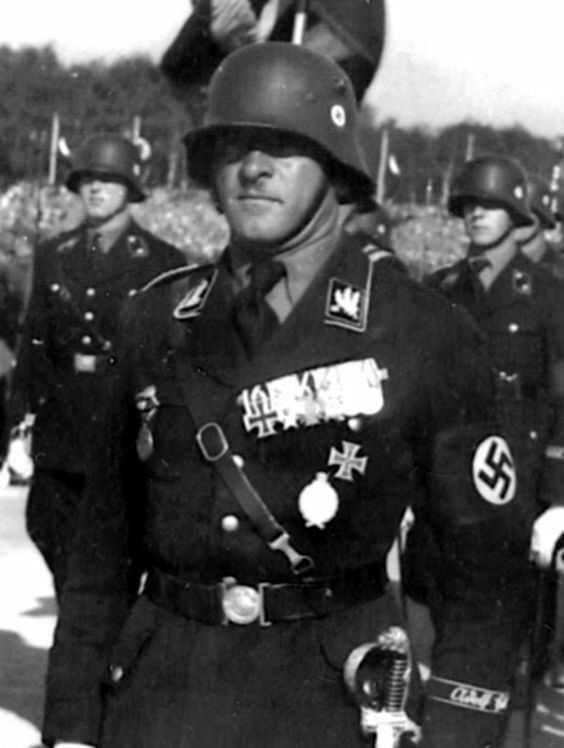 Himmler in 1936, ordered the more familiar SS Degen sword to be introduced and all Officers were required to wear this new pattern. Our sword after only two years in service was reduced to the wardrobe and hidden away. The sword consigned is as expected of fine quality, by the cutler “WKC” Weyersberg Kirschbaum & Cie of Solingen the hilt crafted with a Lion head pommel, set with emerald coloured eyes. The obverse langet proudly bears large integral SS Sigrunen, while the reverse with “LAH” cypher. Complete with original black finished scabbard the sword remains in very fine condition.